A career in managerial accounting offers many possibilities for advancement and variety. For example, Hiren Shah, a senior consultant at the famed Ernst & Young professional services firm, climbed the ladder from an economic and financial background into managerial accounting consulting. His proficiency in managerial accounting made him a prime candidate for a position focusing on the decision-making aspects of finance, according to “Real Life Stories from Management Accountants” on TotalProfessions.com. For Shah, consulting on managerial accounting projects requires a thorough knowledge of project management skills and costing analysis, a solid foundation in general business skills, and an ability to navigate through various group accounts within a business. Advanced education provides the training necessary to develop those traits and skills. MBA students interested in management accounting careers should have a solid understanding of accounting practices and principles as well as experience in other business-related fields. An online MBA degree with a concentration in finance can put graduates on a path for increasingly responsible accounting positions, up to and including chief financial officer (CFO) for a large corporation. What Does Management Accounting Involve? Managerial accountants are valuable assets in modern corporate culture. 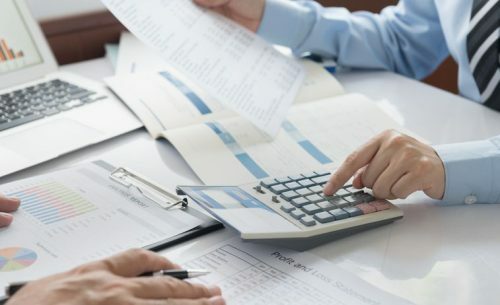 Their duties can include performing budget and financial analyses, monitoring costs, conducting audits, directing financial processes, and assisting company executives with a range of financial decisions, according to “An Overview of Management Accounting” on Accounting.com. Those who pursue a career in managerial accounting will be expected to exercise sound judgment, make reasonable assumptions, and use justifiable data. “Future outcomes hold a great deal of uncertainty and the management accountants will need to make estimates of the various factors that could impact business decisions,” according to AccountingEDU.org’s “Managerial Accounting” section. To assist with this decision making, AccountingEDU.org points out that the most common goal of management accountants is cost-benefit analysis. Completing a thorough cost-benefit analysis is no small task. If, for example, a company builds up a surplus of cash over several years, that company’s leadership has to decide what to do with the excess funds. Managerial accountants prepare detailed cost-benefit analyses of every option at the company’s disposal, including acquisition of a competitor and investment into expansion. The accountants’ efforts provide decision makers with solid data on which to base their ultimate decision. Margin analysis: Determining the amount of profit or cash flow generated by a business in specific departments or product lines, stores, or regions. Break-even analysis: Calculating the point at which a business will break even, which can be very helpful to decision makers attempting to determine price points for products or services. Constraint analysis: Determining where bottlenecks are and how they affect the company’s ability to earn a profit. Target costing: Accumulating the costs of new designs, comparing them to target cost levels, and reporting the findings to company decision makers. Inventory valuation: Determining the expenses of an inventory and allocating overhead costs to it. Trend analysis: Looking for unusual variances from long-term patterns by reviewing trend lines of various costs. Transaction analysis: Looking deeper into a trend analysis to examine individual transactions and any other underlying data to determine the cause of a variance. Capital budgeting analysis: Examining proposals related to the acquisition of fixed assets to determine whether the items are needed and, if so, the most appropriate way to finance them. Financial or accounting employees and those who hold a bachelor’s degree in business can further their career path to management accounting by obtaining a master’s degree in business administration, accounting, finance, or a related field. Once that training is complete, a career in management accounting is possible. While the average salary for a management accountant varies and is not reported by the Bureau of Labor Statistics, managerial accountants can also work in positions more closely related to budget analysis and auditing, which have a median salary of $71,590 and $67,190, respectively. However, according to AccountingEDU.org, the Institute of Management Accountants reports that annual compensation for certified managerial accountants (CMAs) averaged $125,734 in 2013, including bonuses. For those interested in the training necessary for a career in managerial accounting, Washington State University’s Carson College of Business offers one of the top-ranked MBA programs in the nation. WSU delivers online MBA courses designed to equip students with the tactics, knowledge, skills, and strategies utilized by today’s most high-profile business leaders. The program offers several online MBA degree concentrations—marketing, finance, hospitality business management, international business, and a general MBA. For more information, visit WSU’s online MBA website.